Lips need some love during this time of the year, but most of the balms I seem to buy only help for about half an hour, so I decided to try making one and was surprised that it literally takes 5 min. 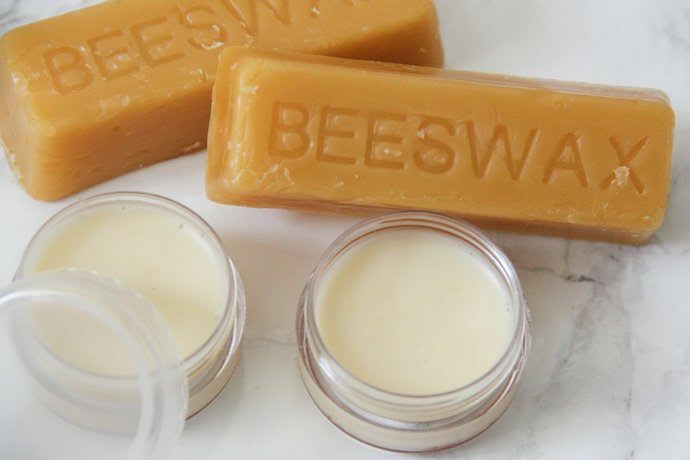 Beeswax and coconut oil are both great moisturizers, honey is amazingly healing and you can add just about any soothing essential oils to give it some extra flavor. Shave off about a tablespoon of beeswax from the block and heat it up. Once it's almost completely melted add the coconut oil, honey and oils and stirr until it's all evenly mixed. Just fill the containers with the liquid and wait about 15mins or longer for it to stiffen and you're good to go!